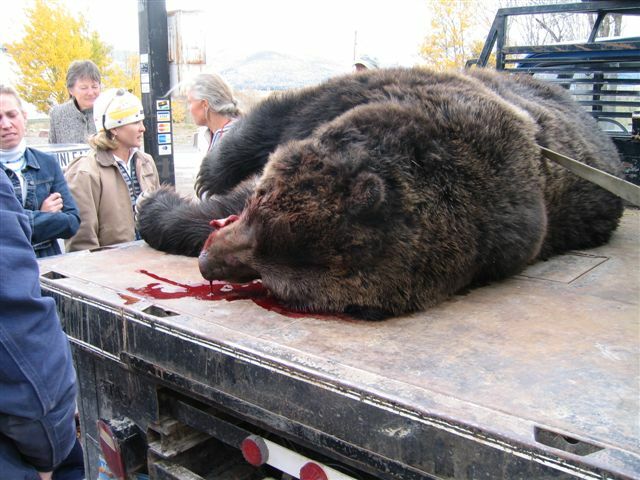 Hot off the Presses: Grizzly Killed by a Harley! 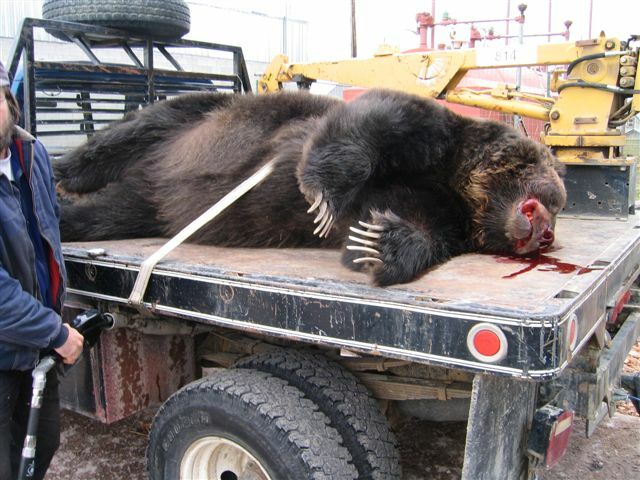 These are such amazing photos, I had to share…. I would’ve liked to see the expression on the biker’s face just before impact!! 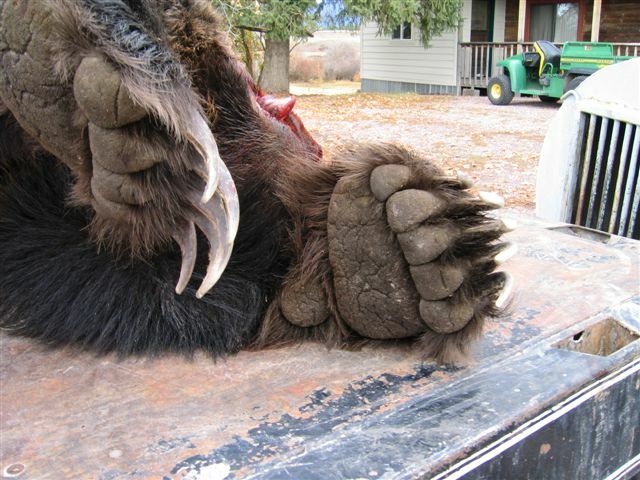 Can you believe a motorcycle killed this HUGE GRIZZLY? 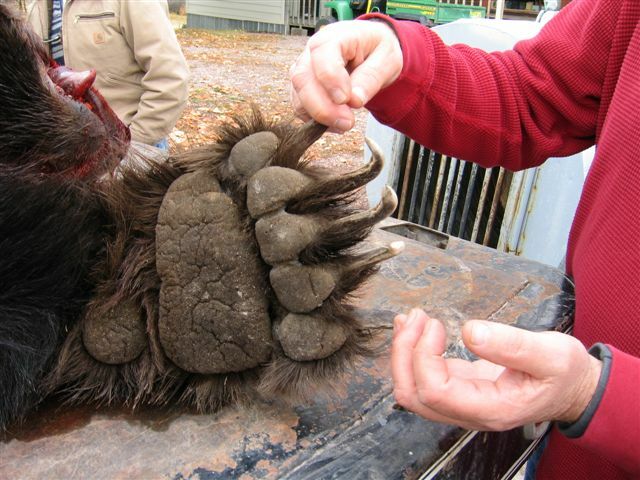 This grizzly was hit by a Harley on Lolo Pass. This is the pass between Lolo, MT and Kooskia, ID. Lolo Pass, elevation 5,233 feet (1,595 m), is a mountain pass in the northern Rocky Mountains on the border between the U.S. states of Montana and Idaho approximately 25 miles (40 km) west-southwest of Missoula, Montana. It is famous as the location where the Lewis and Clark Expedition crossed the summit of the Bitteroot Range via the Lolo Trail on their outward and return journeys in 1805–06. 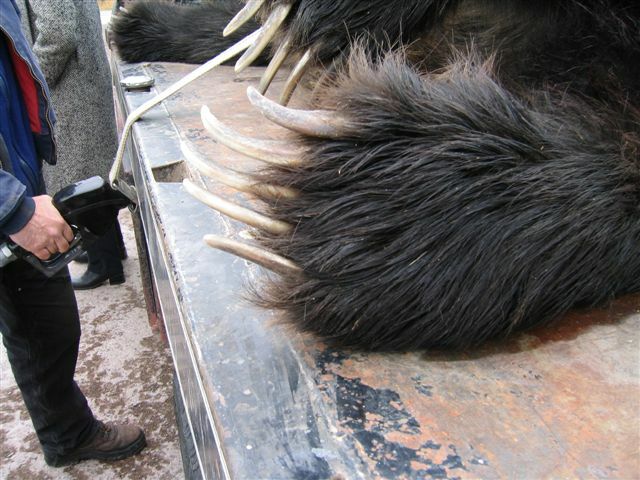 Look at the claws on that sucker! The biker spent three days in the hospital! The hog’s a wreck (Harley Motorcycle)! 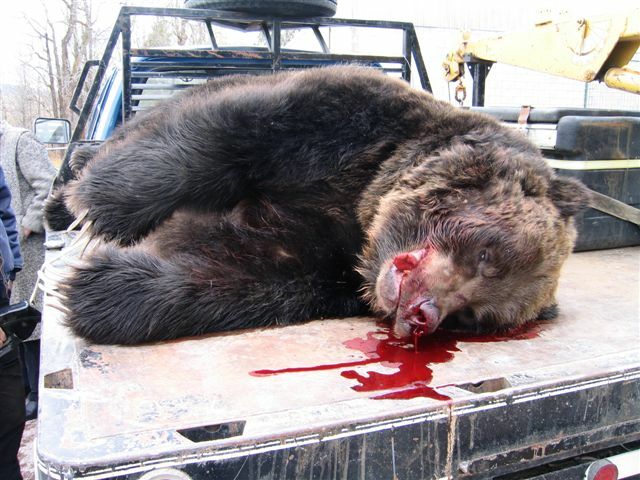 Lesson Learned: Don’t go Bear Hunting with a Harley, they only last one hunt!! Second Lesson Learned: Thank Goodness the Rider was on a Harley Hog — Otherwise, He Probably Wouldn’t have Survived! ** I’ve already consulted snopes.com — but it’s not there!